BRIGHTON, Mich. - Ford Motor Company works hard to incorporate sustainability into its company; whether it be changes to the actual production lines, or changes to the vehicles, Ford is constantly evolving. The latest step in this evolution process is a new vehicle in the Ford F-series, as Ford has just announced its first ever EcoBoost-powered 2014 F-150 sport truck. This new vehicle is expected to arrive at dealerships in the fall of this year, and will offer customers an engine that achieves 20% better fuel efficiency, as well as 15% reduced greenhouse emissions. The 3.5-liter EcoBoost engine that will be in the truck will produce 365-hp and 420 lb.-ft. of torque. As for the exterior of the sport truck, it has 20-inch flat-black wheels, a two-door cab, HD headlamps, and more. Pricing for the F-150 has not yet been released, however, it will be announced closer to the actual release of the vehicle. 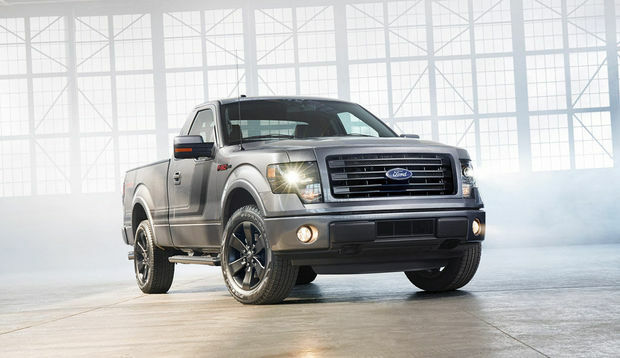 Ford announced the first EcoBoost-powered sport truck, the 2014 F-150 Tremor, and is expecting the vehicle to do well. With over 1.74 million U.S. pickup trucks sold in 2012, and even more expected to be sold this year, the Tremor is expected to only add to the already booming market. If you'd like to pick up your own Ford F-150, stop by our Pinckney Area Ford Dealership today or check out our 2013 Ford F-150 Brochure. If you'd rather wait for the 2014 F-150 Tremor, we can assist you with Used Car Values or Car Loans as well. Brighton Ford is located at 8240 Grand River Ave. just north of I-96 in Brighton. We are a family owned and operated business that is committed to customer satisfaction. For more information on Brighton Ford visit BrightonFord.com or give us a call at (800) 836-8206.